8:25 a.m., 9:40 a.m., & 11:00 a.m.
Today, Dr. David Eldridge will share an Easter message entitled God’s Wonderful Surprise from Mark 16:1-8. On behalf of the Dawson Family of Faith, I would like to welcome you to worship at Dawson. While every Sunday that we gather is a time to celebrate the resurrection of Jesus, today we gather to look back specifically to the life-changing events of that first Easter Sunday morning. We are honored that, on this Easter, you have chosen to worship with us. If you are a guest with us today, I would also like to extend a special invitation to you. Immediately following each of our worship services, I, along with other Dawson staff members, will be in our Fellowship Hall. We would love an opportunity to meet you and to get to know you better. Refreshments and information about the ministries of our church will be available. The Fellowship Hall is located directly below our Sanctuary, and we look forward to seeing you there after one of our three worship services. Again, welcome to Dawson. I pray that God uses this Easter worship service in powerful ways in your life this morning. Please join us for these special services during Holy Week. This year, a new and powerful Good Friday Service has been added to our Holy Week calendar. Please plan to make these events a priority for you and your family as we prepare for Resurrection Sunday. 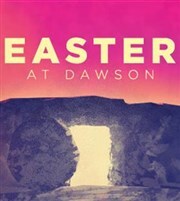 Please visit dawsonchurch.org/Easter for more information. Worship in the Sanctuary, 8:25 a.m., 9:40 a.m. & 11:00 a.m.
Homewood’s annual Way of the Cross procession is Friday, April 19. This annual Good Friday event commemorates the crucifixion of Jesus. The walk begins at Homewood Central Park at 2:00 p.m. and ends at Edgewood Presbyterian Church. The route is about one mile and will take roughly an hour. Participants will stop along the way for prayer and Scripture. Please join us for this time of reflection, as we consider Jesus’s sacrifice for us. Meet at 1:30 p.m. at the amphitheater. During the Easter season, we have the opportunity to financially support North American missions by giving to the Annie Armstrong Easter Offering. Your gifts enable our missionaries to reach the estimated 260 million spiritually lost people in the United States and Canada. These funds are used to start new churches, promote student evangelism on university campuses, and provide for the physical needs of people. Please prayerfully consider what the Lord would have you give to help reach our nation for Jesus. 2. Click the link “Nominate Now,” and read the description. 3. Click the link “2020 Leadership Positions” to bring up the online form. 4. In the form, type the names you wish to suggest for the various positions (you do not have to submit names for all positions). 5. 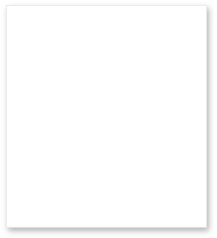 When finished, click “send,” and your suggestions will be emailed to the Church Office. Dawson will be participating in an upcoming prison ministry event at Donaldson Correctional Facility on April 25-28. Our team needs your help as they prepare for the weekend. First, we need 1,200 dozen cookies to share with the inmates during the weekend. As you make the cookies, pray for the residents who will receive them and for God to use the cookies as a source of His love. Place the cookies by dozens in clear zip-lock bags and bring them to the Church Office desk prior to Thursday, April 25. The second request is for prayer. There is a vigil designed to cover the whole weekend in prayer. To sign up for the web-based prayer vigil, go to bamakairos.info to sign up for a 30-minute slot. For more information about the event, contact Ben Hale at bhale@dawsonchurch.org. We are still in need of many KidLife volunteers for KidLife Campout. KidLife is Dawson’s largest church-wide outreach, so we need adults from all areas of the church to help kids camp out on the promises of God. So whether you have never served before or have served in the past, please consider joining us the week of June 3-7. Volunteer today at dawsonkidlife.com. Mission 205 is a new mission project for middle school students. Students have the opportunity to serve the city of Birmingham May 29 - June 1. Each day will consist of mission projects, worship, and dinner including a fun activity. Register online at dawsonchurch.org/students. Secret Church (secretchurch.radical.net) is a unique event where believers around the world gather together for a concentrated time of Bible study and prayer for the persecuted church. This year’s topic is “Prayer, Fasting, and the Pursuit of God.” Please email Liz Cuenin at lcuenin@dawsonchurch.org if you are interested in attending the simulcast. Does Springtime have you thinking of the warmer fun-filled days of summer? We are thinking of them, too, and finalizing details for 2019 Dawson Summer Camps. Learn more and register at dawsonchurch.org/Summer. Discover Dawson is an informal group session that allows you to become better acquainted with Dawson’s vision, ministries, and mission opportunities. Reservations are not required but are helpful in planning. Find out more at dawsonchurch.org/DiscoverDawson. You are invited to attend the Dawson Ballet School’s Spring Recital this Saturday, April 27. Girls ages 3 and up will worship through dance. New students can register for the fall semester at dawsonchurch.org/Ballet. This training is an ideal class for all parents, grandparents, babysitters, or anyone who works with infants and children. No reservations needed. Materials provided. This American Heart Association course will certify you in First Aid, including CPR and the use of an AED. The course is free; however, the cost for a certification card, which is valid for two years, is $20 for adults and $6 for students. Registration is required. The deadline to register is May 1. To register, please contact Debbie Moss. Men, women, and youth of ALL skill levels are invited to participate in a unique time of fellowship and fun you won’t want to miss! The 13th Annual Golf Scramble will be held Friday, May 17, at 1:00 p.m. at the prestigious Robert Trent Jones Oxmoor Valley 18-hole Executive Course. Participants will compete in a four-man scramble. Cost is $50 per participant or $200 per team. The tournament begins with a shotgun start. We will send players off in a golf cart with a boxed lunch, snacks, and beverages and wrap up the day with some great door prizes. To register, please visit dawsonchurch.org/GolfScramble. Breakaway 2019 is July 10-14. Middle School and High School students will be headed to Ocoee Ridge Camp in Ocoee, Tennessee, for a week of studying God’s Word, small groups, worship, and recreation. There will also be a time for fun free-time activities, including white water rafting for high schoolers. The theme for Breakaway this year is Perception. Students will learn what it looks like to shift their perspective in order to view the world through the lens of Scripture as ultimate authority. Register online today at dawsonchurch.org/students. Glenda and Jerry Eskew in the death of Jerry’s brother. Family and friends of Frances Ferguson. Family and friends of John Golightly. Bari and Bob Montgomery in the death of Bob’s brother. Mary Ann and John Crenshaw in the death of Mary Ann’s mother. Rachel and Matt York in the birth of their son, Andrew Ingram (Gram) York, on April 10, 2019. Dawson’s 11:00 a.m. Sunday Worship Service is broadcast (one week delayed) on WIAT 42, Sundays at 10:00 a.m.